Although dial scales are fun to think about in a nostalgic way, they really have gone the way of technologies that have already had their 15 minutes of fame. Digital scales are what dominate the market today because they are easy to use, extremely accurate, and can have an incredibly low profile. If you’re looking for the best digital scale to use in your home, then you’re going to want one of these scales! Information is the key to finding a high quality digital scale. The chart below has put the best scales together into one place so you can quickly compare and contrast different makes and models to find the right one for you. What Are the Different Types of Digital Scales? Thanks to modern advancements in technology, digital scales can take on a lot of different forms. We’re not just talking about the size, shape, or foundation of the scale either – although you can find round ones, wide ones, and square ones when you’re shopping for a scale today! Digital scales can actually perform a number of unique functions today. It can measure your body fat. When you know what your body fat percentages are, then you can make lifestyle adjustments that can help you live a longer, healthier life. Some models also include BMI tracking. It can measure your environment. Some scales have the ability to detect the temperature of the room they are in and how much carbon dioxide happens to be in there. When oxygen levels go to low, they’ll sound an alarm that lets you know it’s time to bring in some fresh air. It can estimate your muscle mass. By knowing how much muscle you’ve got, you’ll know how many calories you will need to take in every day to start building up more mass so you can either get ripped or stay lean and mean. It can measure body water percentages. When your body needs water consistently, it tends to retain water to make sure it has enough. If you’re feeling thirsty, you’re already dehydrated! By measuring water content in the body, you’ll be able to process fat, proteins, and other daily items more effectively. As you can see, a digital scale can perform a number of key functions every single day. That leaves just one question: how do you find the best ones? How Can You Find the Best Digital Scales That Are Available? One of the best ways to make a shopping decision is to use data from other customers. When people are familiar with the product, they’ll have a good idea about whether or not something will work well to meet your needs. 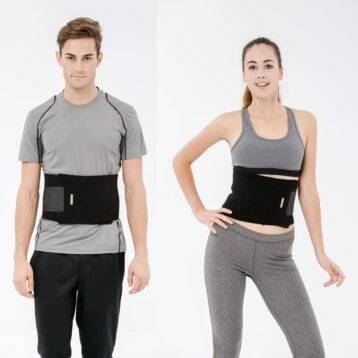 The reviews that you’ll find here take a comprehensive look at each product and highlight their key features and advantages. That way you get a practical look at what owning any particular digital scale would be like and know if you should make a purchasing decision on a specific make and model. Knowing what features you need in a scale is also an important part of the shopping process. If you just need to keep track of your weight, then you can get an entry-level digital scale that won’t cost a lot, but will give you the accurate data you need to lose or maintain your weight. Weight loss with body fat measurements and other body composition tools is also useful, especially in moments of fast weight loss, like with a juice fast. Digital scales also have LCD screens that sometimes are backlit for easier reading. Look for larger screens with LED backlighting for the most effective way to read a result in virtually any environment. If your scale will be in your bathroom, you’ll also want to look for scales that have good seals to prevent moisture from ruining the accuracy of the results. What Are the Benefits of Owning a Digital Scale? The best digital scales give you a fast way to know how much you weight. Many of them today offer step-on technology so you don’t have to worry about tapping or resetting the scale every time you want to use it. Look for scales that have balancing or leaning sensors including with the design to make sure that you’re getting an accurate result. Digital scales also almost always automatically calibrate themselves as well, which means you won’t have to worry about setting screws or changing dials or settings within the body of the scale. The best digital scales can be manually calibrated, however, with a simple step on/step off function to make sure you’re getting a true zero start value. What Are Some Common Problems With Digital Scales? Even the best digital scales tend to have a problem or two that creeps up every now and then. The most common problem is the weight variance that is included in their design. Many scales can have a variance of up to 1%, which doesn’t seem like much until you realize a 250-pound guy could have a 2.5-pound variance. Digital scales also need a firm, level floor to deliver an accurate result consistently. If you’ve got a tile or stone floor in your bathroom, then you don’t have this! Many people don’t realize this is a problem until they step onto their scale and find inconsistent readings that can vary by up to 15 pounds. What Are the Prices of Digital Scales Today? If you’re shopping for digital scales on Amazon, you’re going to find a wide range of prices. Entry-level models are typically around $20 and will provide you with a basic weight measurement in a clear way. More comprehensive models will measure other body components and these scales can typically run up to a price around $100. Most households can get a pretty comprehensive digital scale with the features and advantages that meet their needs for about $30-$40. This highly affordable scale is the #1 seller on Amazon not because it is one of the cheapest digital scales there is. It’s also one of the best digital scales because it is strong, sturdy, and stylish. It’s low profile makes it a solid floor scale and the 12×12 inch platform makes it possible for most folks to use it effectively. Made from tempered glass and with a unique black/white LCD display instead of blue, you’ll be able to effectively weigh up to 330 pounds with up to a 0.2-pound accuracy. It runs on 4 AAA batteries and provides instant results. What we really loved about this Taylor scale is its Instant On technology. 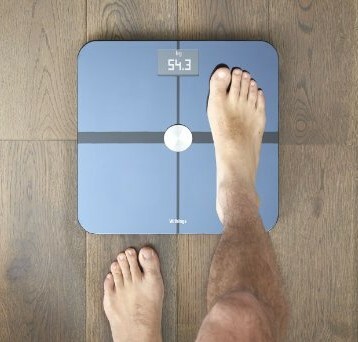 It lets you be able to step onto the scale and get an instant measurement. There’s a slight lull in the display so that you can get yourself fully onto the platform so you won’t get an inaccurate result. It will also display weight in kilograms if you prefer and the unique design gives the scale a distinctive, modern look that is remarkably dependable for what it can provide. Do you want something that will provide an extra wide platform, but still look good in the bathroom? The EatSmart Precision Plus is a digital scale that you’ll want to consider to solve these problems. Priced for less than $40 on Amazon most days, it will provide an accurate result up to 440 pounds or 200 kilograms. It’s also over 15 inches wide, which is at least 3 inches more than other scales at this price point. Once a result is measured, it will display for about 10 seconds. With long lasting accuracy, it is easily one of the best digital scales available right now. We really love the fact that this particular scale allows three weight measurements to be used: pounds, kilograms, and stones. The recent redesign of it allows you to just step onto the scale to get your weight as well without having to tap it in order to activate it. It’s a solid scale that is rather simple in design, but it still provides and effective result. It’s been a #1 best selling scale on Amazon for 5 years for one basic reason: it works. That’s why we fully recommend this scale to you! The automatic calibration of this scale is particularly useful because you won’t have to keep picking up the scale to reset it like other models sometimes require. Zeroing out the scale is easy to do. You just step onto it and then stay there until it displays a weight. Then step off the scale and let it turn off. You’ll have then calibrated the scale and can then weight yourself again. Most digital scales require this effort and is why weight discrepancies are often complained about. If you’re looking for a highly effective way of managing your weight that doesn’t involve modern fitness trackers, apps, and expensive technology, then this scale by EatSmart is the way to go. You’ll be able to track daily weights and always know where you stand on whatever fitness goal you have. A large white LCD display of 3.5 inches makes reading the received results a simple process in virtually any lighting condition. It is measures in pounds or kilograms and has 4 high precision sensors help to verify the reliability of every weigh in so that you have one of the best digital scales there is. Even though it doesn’t have the tempered glass design of other scales, there is still a 2 year warranty against product defect with this EatSmart premium version. This means you’ll get a lightweight scale that will still meet your needs while being light enough for anyone in the family to be able to move or use based on their needs. This isn’t going to be the scale you’ll want to have, however, if you have a large family. With multiple uses daily, this scale isn’t going to hold up for more than a few months. It begins to lose its accuracy over time under heavy use conditions and that means it becomes an ineffective tool for your fitness needs. We really love the fact that there’s a 5-year warranty that comes with this scale, as well as a 100% satisfaction guarantee. If you don’t like how it feels or if you feel like it just isn’t providing accurate results, then just return it without any questions asked. Not only will you be getting a product that you want, but you’ll be helping some specific charitable organizations with your purchase as well. Not only will it measure your weight, but it will also track your lean mass, bone mass, water weight and body fat. For these reasons, we have no hesitation in offering this scale our recommendation today. Do you have a scale at home right now? Go ahead and flip it over. Those feet that are underneath the scale in most makes and models have one thing in common: they’ll scratch your floor. It might not be today or tomorrow, but over time, tile gets scratches or linoleum gets torn. With the Ozeri Precision II, there is an improved design that limits this issue while still providing a non-slip experience! When you include the bonus extras of a free body fat caliper and body tape measure so that you can know where your health really is, the true value of this scale comes out. So many of today’s digital scales come with a harsh display that almost hurts your eyes, especially when you use the scale the first thing in the morning. With this scale, you’ll get a comfort blue LED lighting that gives you a clear reading every day. It works automatically when you step onto it and you’ll get instant readings, even in stones. It has an entry level pricing point and has good non-slip feet. You will, however, need a very level and very hard floor to get an accurate weight measurement from this scale. When you own a digital scale, then you’ve got a tool that will help you manage your weight effectively. The best digital scales will have the features and advantages that you need and the prices that you want. Use these reviews today to find the best scale for your home and you’ll be certain to make a long-lasting investment that works with your budget.